Since we, Marius and Marc, are from Germany we do not have really a connection to Panamanian politics. To learn more about it, we thought to visit the inauguration of Varela on Tuesday 1st July. Since we know German politics as barren and very formal, we did not have great expectations but what Varela set up on that day was just amazing. While we went to Cinta Costera more and more people came to join the big party. We were driven by the flow. As were arrived there, we were stunned by the set up and the amount of people. Three stages, with different and talented musicians, were built up. A multitude of tents were constructed to allocate free food and drinks. We were so amazed that we could not believe it. Mc Donald’s, KFC and Pizza Hut provided the free food for the people and we started with some water and hamburgers. Nevertheless the most interesting part was trying to talk in Spanish about politics with some local people. 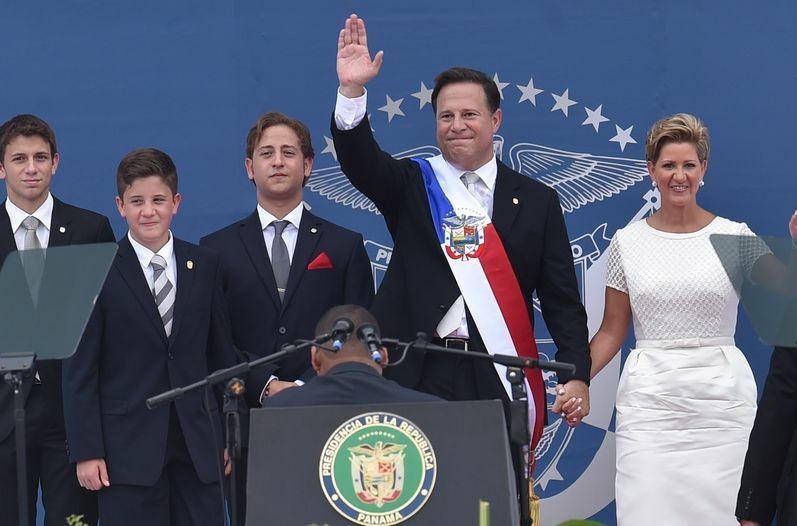 We found out that Varela was born in Panama City with family roots in the province of Herrera, Juan Carlos Varela graduated in Collegio Javier before he received a Bachelor of Industrial Engineering in 1985 at the Georgia Institute of Technology in the United States. With his wife, the journalist Lorena Castillo, Varela has three children. 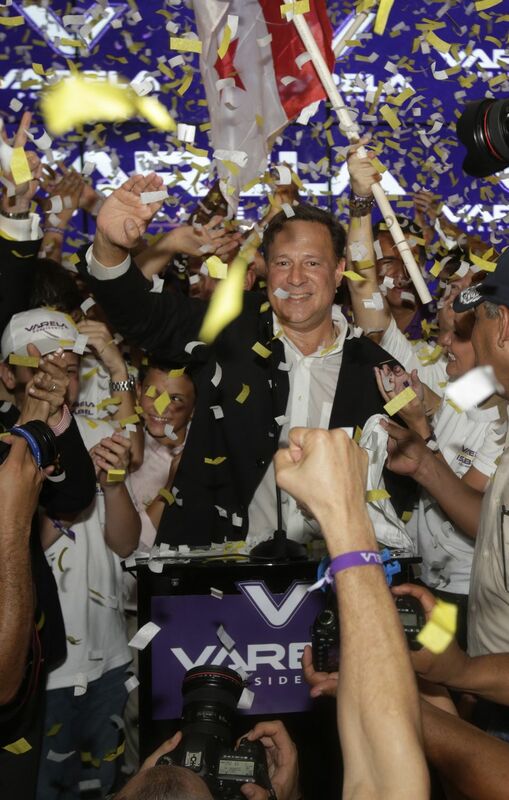 Since Varela won the elections for President with over 39% of the votes, he has big plans with this country. 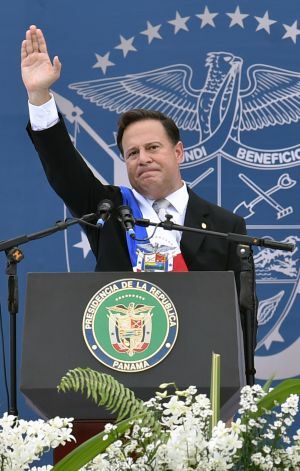 His vision is to “put the party banners away and to govern under one flag, that of Panama”. In his first speech, the new President promised to give back the “strength and credibility to our democracy and its institutions”. 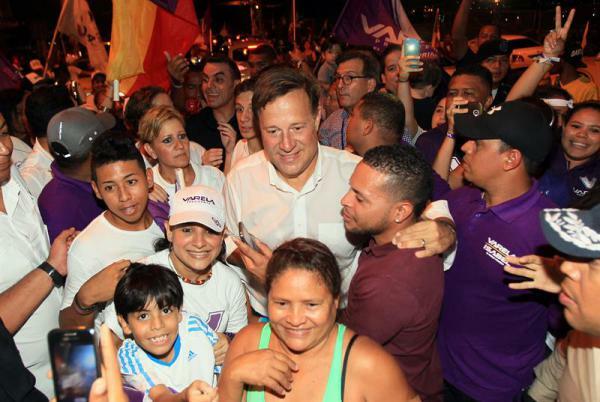 We also could understand that the people had great hope but also great expectations in Varela. Especially education was a big topic in what Varela should focus during his period. Furthermore he caught sight of the problems in the health system; he will install basic sanitary for the outer provinces and implement a more efficient and better access to facilities. According to tourism e.g. Varela plans to restore the city Colon and maintain the historical heritage of Panama, so that the country is competitive on the global tourism market. After some more drinks and conversations we headed back to our home. We still cannot believe what Varela has set up. Sitting on our balcony we talked a little bit more about the difference between German and Panamanian politics and wondered why German politicians are not setting up a party like that.